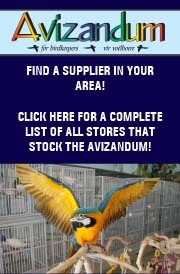 Looking for ANY Macaw (preferably handreared) in the Pretoria area. Please whatsapp or email me. Not for breeding purposes. Decent price please. Algehele uitverkoping van Macaw boerdery. 3 genuine Broei pare Blou en Goud macaws te koop. Fotos van Kuikens van hierdie seisoen Is beskikbaar. Al 3 pare in ‘n uitstekende toestand en Beproef. Staak boerdery om gesondheid redes. Pare kan afsonderlik verkoop word. Tussen 4 en 5 jaar oud. Contact Zaheer Ellahi on 082 648 3866 / zaheerellahi@rocketmail.com. (12 weeks old, Very tame, A very loving baby). Dr Grey Certificate) R18 000.00. GOOD INVESTMENT FOR MACAW LOVERS R45 000.00 FOR PAIR. (7 months old, hand raised, ringed) R8500.00 each. 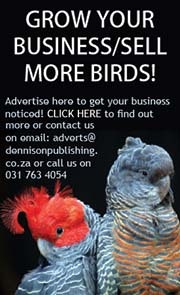 (1 Feed per day) R9000.00 each. pictures avaliable on request, please no time wasters! (Johan Osmers) transport to be organised by buyer. (10 weeks, 1 Feed) R9000.00 each neg. (Nest active, very bonded, fully flighted) R8500.00. baby blue & gold macaw (handreared) with or without large parrot cage. Tame and very friendly. Completely domesticated. not neg only serious buyers. I’m in Nelspruit. 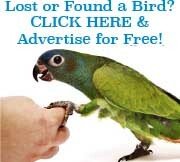 Area can fly birds at buyers cost to closest airport. (vet checked) R38000.00 per pr. (Hand raised) R9000.00 each I’m in Nelspruit. (9 Weeks old, 2 Feeds per day). (7 years old) R60 000.00. Tel Hassan 0835558362 / Hassenessack@gmail.com. (5 months, eating on it’s own). (5 months, hand reared) R8000.00. 1-1 brpr Blue & Gold Macaws (s/s) R45 000.00 per pair. 1-0 Hahns macaw(c/b, 3-4 years). Eating on own) R8500.00 each. Babies available (2 feeds per day) R10000.00 each. 0-0-3 Hand Raised Scarlet Macaw Chicks. I’m having them sexed, will provide details. h/r and c/b) R9000.00 each neg. parent reared) R2500.00 each. Not related. not related) R9000.00 Per pair..
ek soek R1500.00 vir hom. 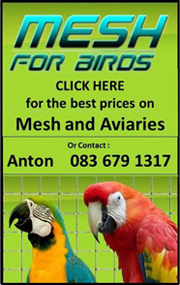 includes the cage it’s used to..
GOOD INVESTMENT FOR MACAW LOVERS R40 000.00 FOR PAIR. 0-0-2 Greenwing macaws (2 feeds a day) R19 000.00 each. Macaw hand reared chick, close banded R9 000. 082 569 4895 or 012 379 3969.